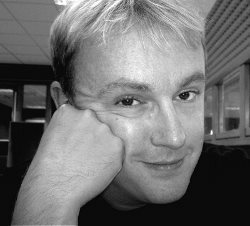 I have a guest post today from Calum Kerr, whom I’ve worked with for two years on the Worcestershire Literary Festival Flash Fiction Competition. I also completed a six week series of online workshops on flash fiction with him last year. The course was interesting, informative and useful and I would recommend Calum’s workshops to everyone who wishes to hone their flash fiction writing. Find more information about Calum here. In this blog, he talks about the challenges and pleasures of judging flash fiction competitions, and follows this with some of his own fiction. Since coming up with the idea of National Flash-Fiction Day, I have been asked to do a lot of things related to it. Most of the time, as long as I can fit it into my schedule, I say yes. Very often, this is simply to provide a story to a magazine or blog. With my back-catalogue, that’s fairly easy. Sometimes, it’s an interview. One or two have been in real time, over the phone or on Skype (and what a great way to see yourself misquoted that is!) Mostly they consist of an email with a slew of questions in them to which I am expected to write witty, interesting, thoughtful answers. That’s a larger task, and learning to write ‘as myself’ has been a whole new challenge. I think I’ve learned to imitate my voice now, at least. Occasionally, I get asked for articles (like this one!) and they take even longer, but in some ways are more fun. I have freedom and can usually go wherever I like. Also, they allow me to follow a point to its conclusion, something which an interview often truncates. And, finally, there are the judging duties. Now, before I go on, I should mention that I have neglected to mention ‘editing’ duties, such as those required when putting the NFFD anthologies together, or being part of the team who bring you the FlashFlood journal. These are similar, in their way, to judging, but they are entirely self-inflicted. I’m talking here about the competitions I get asked to judge. Among the competitions I’ve been asked to judge so far, have been the flash-fiction competition for Worcestershire Literary Festival, two years running – with co-judge Lindsay Stanberry-Flynn – and I am just about to judge a ‘one-page’ competition (flash-fiction by any other name) for Lightship Publishing. It is a strange job to do as you know that not only do you have a responsibility to the craft – to pick the best story – but also that the result will not simply be publication but can actually be something useful, like money! Finally, it is very different to editing in that you have to narrow your selection down to maybe 10 stories, then 3, and finally the one winner. Before I started judging, I thought I knew what it would be about. After all, I had edited magazines and anthologies before, I knew how to separate the wheat from the chaff, and I knew how to spot a good story. All of which is, I hope, true. But I forgot one thing. It’s not just about spotting good stories, it’s about deciding that this particular very-good-story is more worthy of winning than this particular very-good-story. And then, when you realise that even when you have drawn up your list, agonised over it, constructed your arguments for why this one single story should stand above all others, you realise that your fellow judge has done the same, and you might not agree. And if you don’t, that’s when you enter the second stage of grief… erm… judging (sorry). This is where you become glad that you honed your arguments, because you need them. Because you have chosen your story, you know it’s the best, and you know it should win. And they know the same thing too. So you argue it back and forth, you make a few compromises lower down the list in the hope of getting your way when it comes to the top spot. You even get down as far as arguing the effectiveness – in choice and placement – of individual words. It’s a breathless battle, and then you’re done: the list is published, you’re proud of it like a new parent. And then it’s everyone else’s turn to argue about it! Everyone, that is, except the winner. And the winner is, by this point, very rightly the winner. They don’t know the battle that has gone on for them to win. It has been fought by proxy. But they are the victor! Moving forward into judging the Lightship competition I will, for the first time, be doing it alone, and I must admit I’m looking forward to it. I can make my own decisions without need to argue or compromise. But, then again, I’m now nervous about making the right choice. I think the arguing helps to clarify the reasons why you choose a story and maybe pushes a story up the list that would otherwise have foundered without the process. Well, the results are out in about 6 weeks so you can judge for yourselves. And next year, if I’m asked again, I’ll be back into battle at the LitFest, fighting for my stories, and hoping to find that elusive winner. There used to be a website called ‘A Very Short Story’. It was a monthly flash-fiction competition. I can only imagine the very hell of having to judge a competition every month. Sadly, it seems to have gone the way of all things now. Anyway, I entered it three times and after two honourable mentions, finally won it. £50! That was my first ever paycheck for a flash-fiction. It was my fourth visit to the dentist in as many weeks. Previously he had removed the tooth – and the root – and had inserted the pin. That had bedded in and now he had fitted the crown and performed a little corrective surgery on the adjoining teeth in order to make them all level. It had left my mouth aching like, well, like toothache. That was the final visit and, although my mouth was throbbing, it was finally over. All of it was over. It had taken nearly a year but all the physical remains of the accident had finally been sorted out and cleared away. The bones of my leg and hip had fused back together and hardly ever hurt anymore. Plastic surgery had smoothed the scars from my skin, and now the smashed fragment of tooth had been replaced by a shiny new one. All that could be put back together, had been. The church clock gave its four dull strikes as I emerged onto the street and I decided not to return to the office. I had already warned them that I didn’t know how long I would be at the dentist and not to expect me back. Since the accident, and… well, the accident, they had grown used to me being absent. They wouldn’t miss me. I walked through the town. It was nearly Christmas and the bright windows of the high street beckoned to me. It was already dark, but the shops lit my way. There was no-one left to buy presents for, but I liked having the chance to look and imagine. I wandered past, looking at perfumes and dresses, handbags and necklaces, comfortable sofas and holidays for two in the Algarve. Finally, as I reached the Horse and Dragon, it started to snow. I stood for a moment, surprised out of my reverie as the first flakes fell, sparkling in the shop-light. As I watched, they hit the pavement and melted. What followed was sleet, and then, all too quickly, rain. I moved into the bus shelter and tried to shut out memories of wet roads and darkness. I finally calmed my breathing and looked up to see a number 22 approaching, so I put my arm out and the flashing orange of the indicator added its light to the festive cheer. I held up my travel pass as I boarded. Looking down the bus, I could see it was already pretty full. The windows were fogged with condensation. Most of the people were clutching bulky shopping bags containing presents, crackers and party decorations. I felt conspicuously bereft as I made my empty-handed way down the bus. At the back, a square of seats were still unoccupied, except for an old man who had squeezed himself deep into the back corner. I sat down on the seat in front of him and wiped my hand across the window to reveal the dark world outside. I peered through, but the lights of each car going past made me flinch as they flashed into my eyes. Amidst the noise of the other people in the bus talking and laughing, I thought I head the old man behind me say something. I thought I heard him say my wife’s name. I thought I heard him say ‘Julie’. I twisted in my seat, sending jolts of pain from my hip and down my leg. The sweat turned cold on my back and the throbbing in my mouth caused my whole head to pound. I looked straight at the old man. He simply stared at me, unspeaking. I asked him again, “Did you say something? Did you say something about Julie?” My voice was too loud, and starting to crack, but I couldn’t help it. He continued his silent stare and I could hear the other conversations in the bus faltering. I turned back and saw eyes flick away from me. I returned my gaze to the thin strip of clear window and tried not to think about anything as the bright lights of the street gave way to darkness and rain. Categories: Writings & Witterings | Tags: Calum Kerr, Guest Post, Polly Stretton | Permalink.